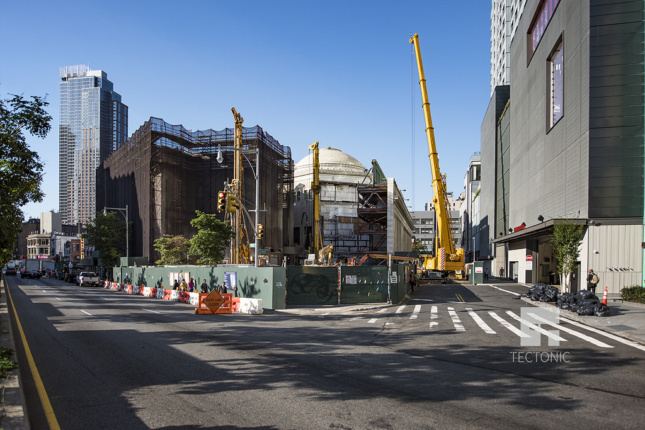 After the Landmarks Preservation Commission (LPC) approved Brooklyn’s first supertall skyscraper, construction teams wasted no time springing to action. 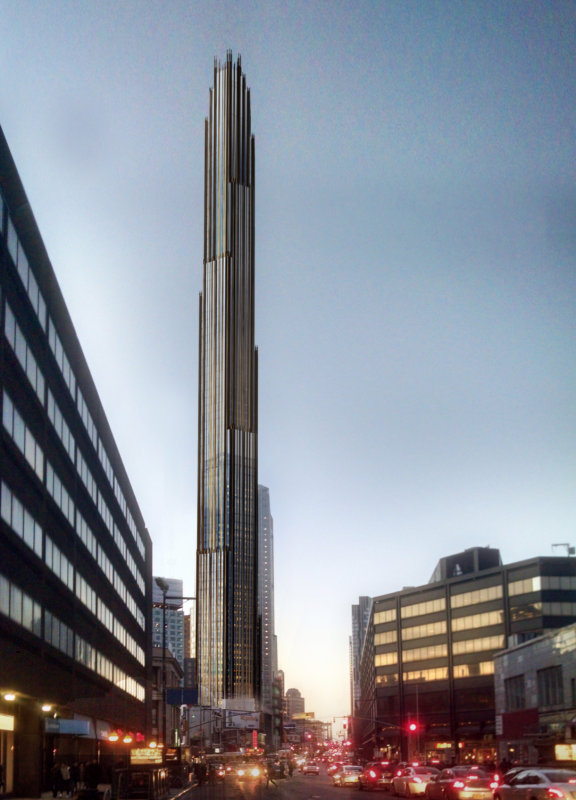 Designed by New York firm SHoP Architects the 1,000-foot-tall tower is going up on 9 Dekalb Avenue. Art Society (MAS) told The Architect’s Newspaper (AN) earlier this year that supertalls like the one scheduled for Dekalb Avenue are out of context and out of scale with the neighborhood. The building will house 417 units and offers a bronze, stainless-steel, and stone skin. 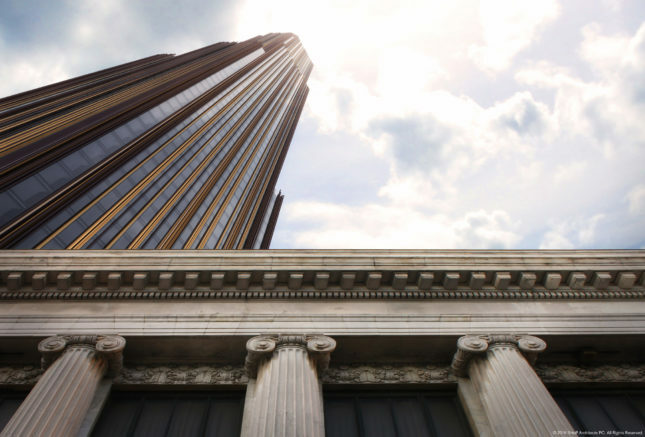 As the tower stretches upward, bronze ribbons will join gray spandrel and vision glass panelling. Here, black metal is to employed in a similar, linear fashion running up the building’s facade, being joined by interlocking hexagon that facilitate views out. Also speaking to AN this year, Gregg Pasquarelli, founding principal of SHoP, said that the facade detailing is such so that when two sides of the hexagon are viewed from an oblique angle, it will resemble one face, a sleeker reference to the grand old New York skyscrapers like Rockefeller Center and the Chrysler Building. 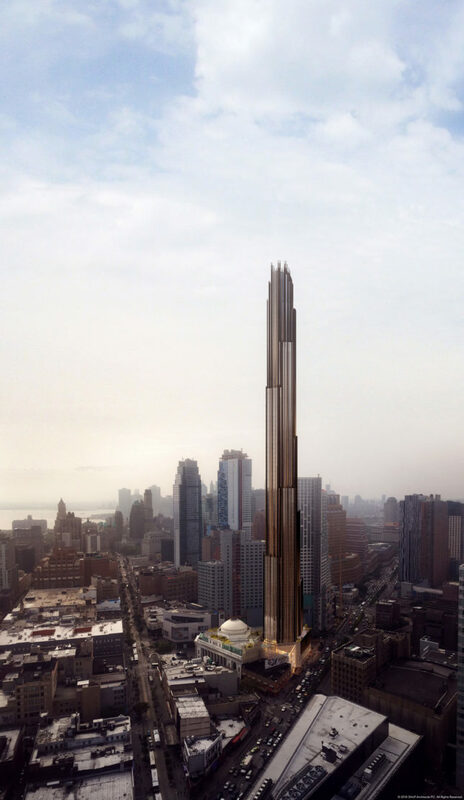 Brooklyn’s first supertall was initially due for completion in 2019, however, YIMBY estimates the completion date to be a couple of years later.